Samsung SMART Commercial and Hospitality Display Installation. 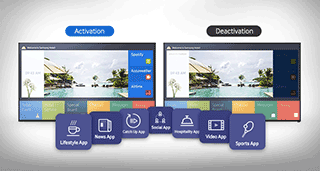 Deliver Premium Interactive Guest Services through Samsung. Advanced displays offer design sophistication and guest-centric capabilities ideal for luxury hotels. Guests at five-star and above hotels and other premium hospitality environments expect the benefits of high-end, immersive and flexible in-room technology during their stay. 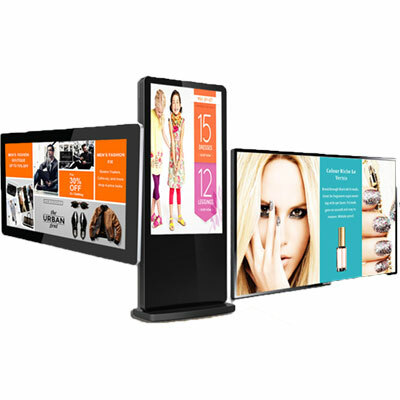 Why Digital Signage for Hotels and Hospitality? The hospitality industry is undergoing a period of tremendous change. Digital transformation is disrupting traditional business models as companies struggle amid unprecedented competitive pressures to meet the needs of an emergent and influential consumer group of digital natives. 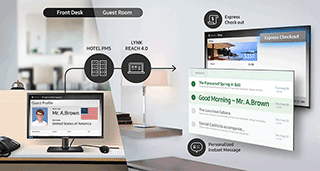 Hotel owners need simplified display management and easy content management across multiple locations to meet the needs of guests who expect a seamless digital and content-rich experience from the moment they walk in the lobby. 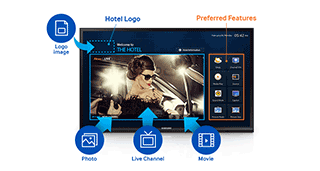 Samsung Display Solutions embrace hotel digital signage and hospitality display offerings to provide real-time information and a personalized in-room entertainment system. Using Smart Hub, guests can conveniently access social networking apps enjoy music streaming and access the news through the hotel’s IP network for enhanced TV content based on their individual needs. 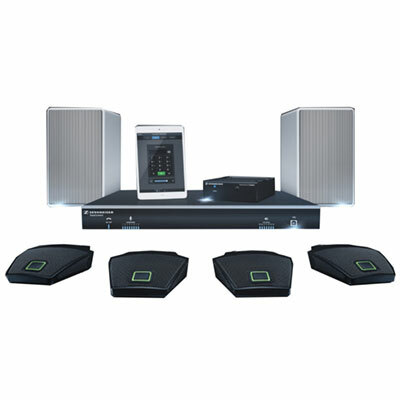 Deliver a wide array of content to guests with an enhanced Home Menu that does not require the additional purchase of a solution or installation of a network infrastructure. 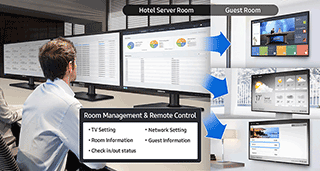 Hotels can select individual televisions or groups of television and monitor TV and network settings, room and guest information displays and guest check in/out. 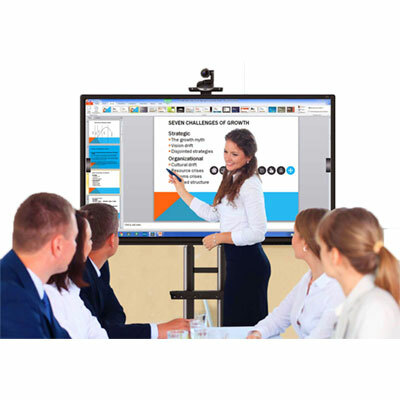 Why not speak to our Audio Visual team and they will help you select the product best suited to your needs and installation requirements. Prefer to talk to someone? Give our expert sales team a call and they will be happy to answer any and all of your Samsung Commercial Display related questions.